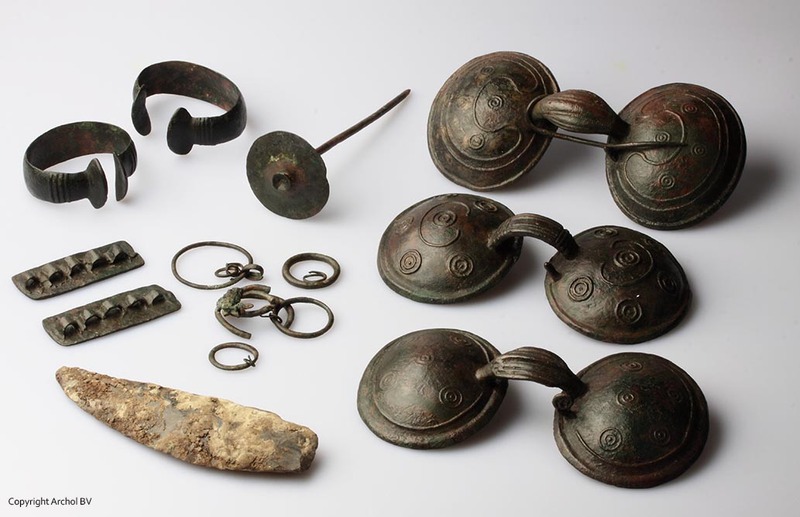 At the start of 2015 archaeologists from Archol found a collection of bronze objects during a project on the route of the N23 highway. 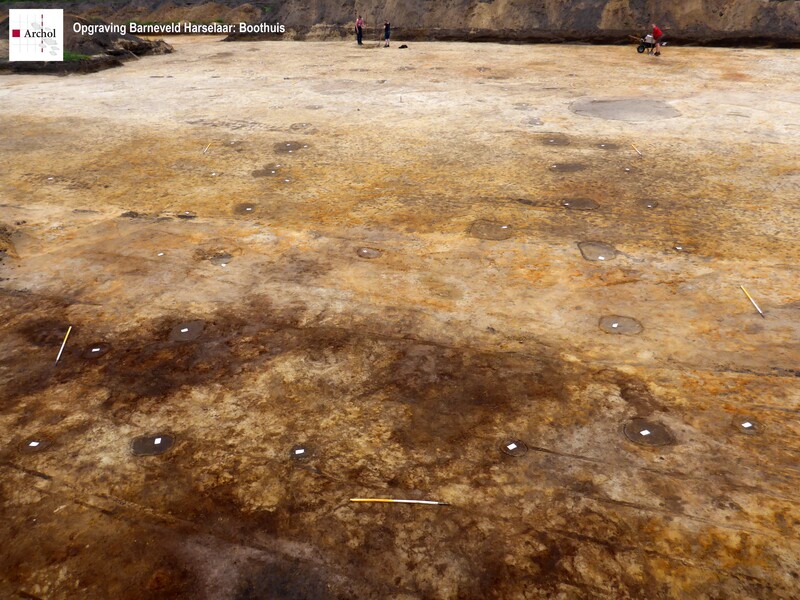 It quickly became clear that this was an extraordinary find from the late bronze age (about 800 BC). 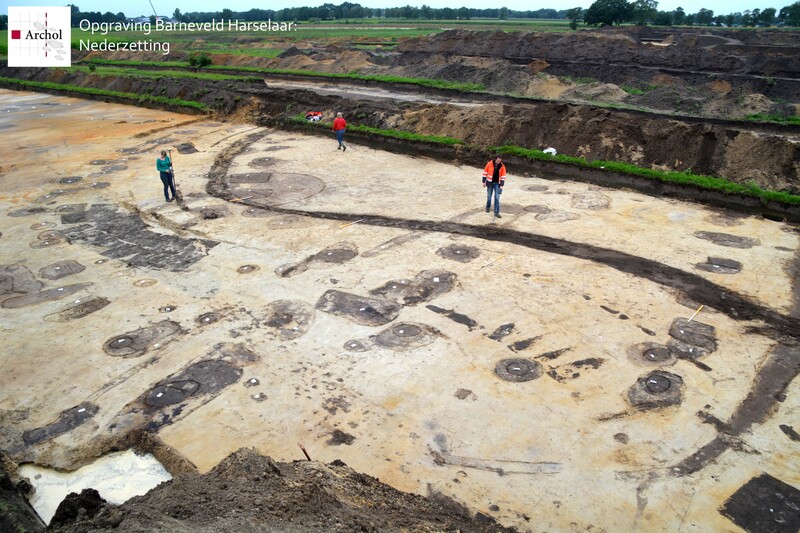 The find was made during excavations last winter west of Hoogkarspel, between the ‘Streekweg’ road and the highway N302. This had to do with a broadening of another highway, the N23. The location received the name ‘Markerwaardweg’. The collection was found in a prehistoric ditch which was part of a large settlement from the middle and late bronze age (1600 and 800 BC). 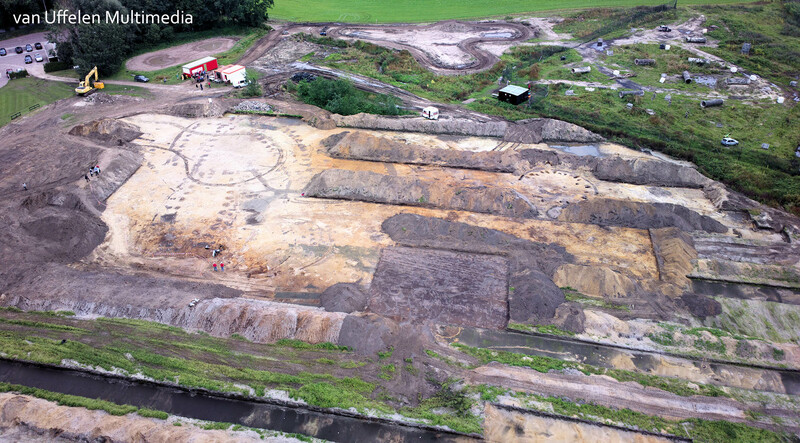 From earlier excavations of this period we know that these sorts of settlements can be very rich in traces and finds relating to the farming practice of late prehistory. Next to ordinary daily refuse there is always the chance of special discoveries such as rare bronze artefacts. A ‘depot’ of this magnitude actually went well beyond our expectations! These remarkable items (also including one flint tool) seem primarily to do with personal decoration. There are three large ornamental brooches (‘fibulae’), a large clothing pin, two armbands, a series of rings and two somewhat mysterious (for us) plates both with five openings on one side. These were probably the bronze parts of an somewhat ostentatious ‘costume’. Interestingly these types of decoration occur, above all, in Scandinavia. Another peculiarity is that they have been carefully lain next to each other in the peaty filling of a late bronze age ditch. This occurred somewhere between 900 and 800 BC. and therefore near the end of the settlement period. Why should people leave such things behind in a boggy ditch? As strange as this seems it appears that in this period there was a practice of leaving behind special objects in ‘wet’ places such as fens, bogs and rivers. The theory is that they were some sort of offering.